After a hectic semester I’ve finally gotten around to finishing this one. 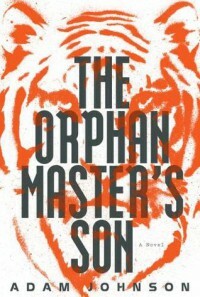 The Orphan Master’s Son can be a frustrating, meandering read, but in the end it’s definitely worth it. The titular son is Pak Jun Do, who bares the name of a North Korean hero like the orphans he grew up with. The story follows Jun Do’s life in North Korea as he goes from loyal soldier and citizen to a free-thinking human being. The plot jumps around quite a bit, and is especially jarring in the beginning; over the course of only three pages Jun Do goes from child to tunnel soldier to kidnapper. It’s a bit hard to root for Jun Do in the early chapters as well, given his role kidnapping innocent people from Japan and taking them to North Korea. To reiterate, however, the story is worth continuing as Jun Do becomes a better human being and even gets a taste of the outside world. It soon becomes apparent that the rapid shifts reflect how the people’s lives are at the mercy and whims of the state. It’s much easier to become attached to the protagonist as he finally takes control of his own life. The second half of the novel shifts to the interrogation of a previously mentioned character, Commander Ga, and shifts between Ga’s flashbacks and the first-person perspective of his torturer. It’s revealed that this “Commander Ga” is not the original, and that he may in fact be Pak Jun Do. It is always fascinating to read about North Korea, and interest in the secluded nation has certainly grown since the recent death of Kim Jong Il. There are horrifying depictions of torture and the infamous prison camps, as well as the lives of everyday people. Given the closed nature of North Korean society it is hard to know how much is based on true events, but the North Korea depicted in The Orphan Master’s Son is certainly a believable one. A review copy was provided through Goodreads.com First Reads program.